my favourite cosmetic online shop, has just brought in a new product! Eyeshadow, Blusher & Contour Set. I was given one to review! Isn't it convenient? Eyeshadow, Blusher, Contour powder all in one compact, lightweight, and portable palette! I was really tempted to try the eyeshadow colours. So many choices, yet perfectly suitable for use on a daily basis! I'm sure you would be able to find a colour to match your dressing for the day. I liked that each colour has their own variation in a line. For example, the green one has light and dark in the same line, so does the blue and purple. It makes it so much easier to match the right colours together. 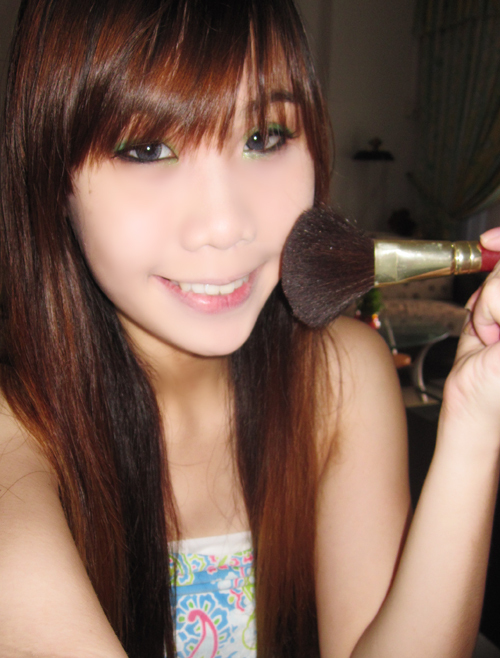 For that day, I tried the Green colours cos i was in a dress of a similar colour. 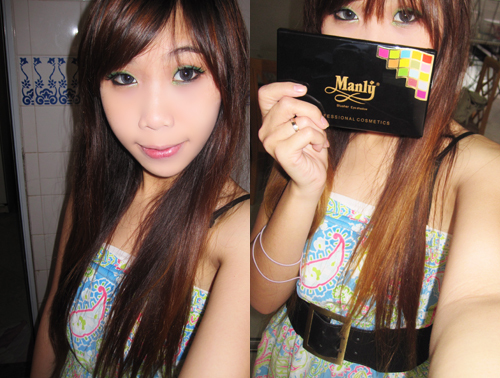 I think i look much younger with such a bright coloured eyeshadow instead of my usual black! 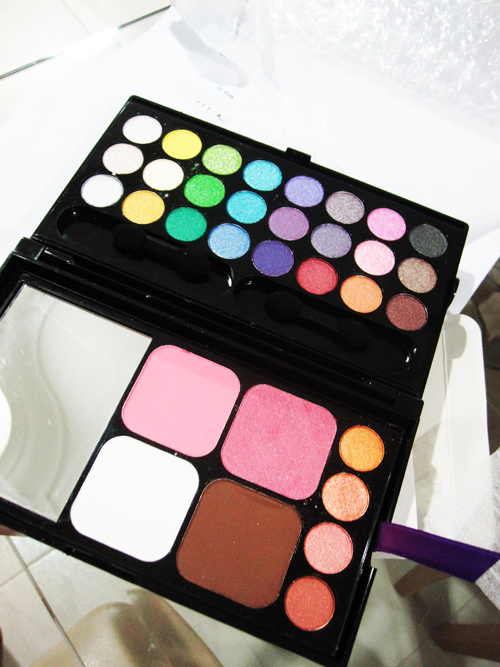 The eyeshadows are beautiful shades that we can wear on a daily basis and are highly pigmented. They are long-wearing and vividly visible. I witnessed it myself! Even after a long day out without touching up, I still get compliments about my eyeshadow! The brush that comes with the set also makes blending very easy. The eyeshadow was also smooth and dense, definitely not made up of lousy powder. Contouring and blushing of face is very important to give a structured, thinner face with a pink dash of healthy glow at the cheeks. Too bad I don't have a better camera to capture the results for you! Notice how my face on photos doesn't ever look like i put blush on? My camera's flash is a tad too strong i think. Haha. This is an INSTOCK product, so you don't have to wait for long before you receive the item! Best thing is, you'll never have to worry about broken eyeshadow pieces because they use more than enough bubblewraps for their products before mailing it out. Each set is only $25.90, with FREE normal postage! Go place your order now!